We are all in a time bind. We are being rushed out the door — and yet you and your toddler still need to be fed. 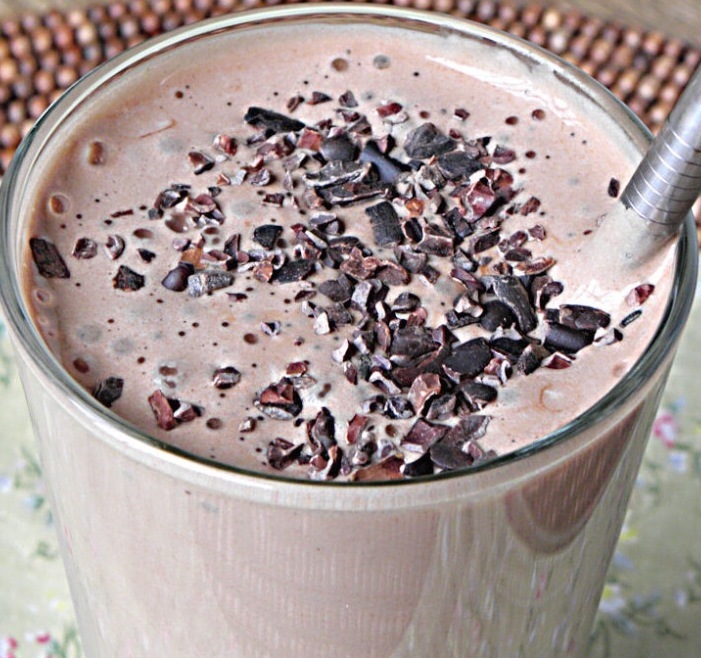 My go-to answer is the BANANA CHOCOLATE PEANUT BUTTER SMOOTHIE! (or better yet, BANANA CHOCOLATE ALMOND BUTTER SMOOTHIE!) There’s nothing easier than whipping up a healthy protein shake for kids. 1 scoop Sun Warrior vegan brown rice protein – I like Classic VANILLA. Blend all the ingredients (except for cacao nibs) in a Vitamix or high speed blender until smooth and creamy. Yum! Stick it in a to-go cup and get to work / school! Easy Peazy! Hope you enjoyed my recipe for a healthy protein shake for kids! HOLIDAY EDITION BABYCCINO SHOP UP EVENT LOS ANGELES :: THEY’RE BACK!!! This delicious and healthy treat is not only good for toddlers, it’s also great for Dads. Thanks for your comment, BabyDaddyStoph. Yes, it’s quick and easy. You can also interchange kale for spinach. Enjoy!